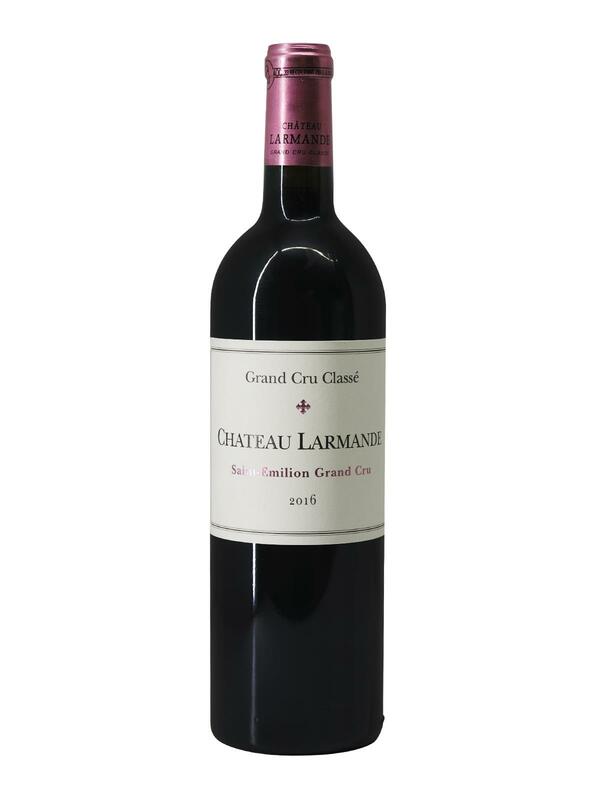 Château Larmande is a Grand Cru classé produced on a vineyard covering 17 hectares located in the heart of the Saint Emilion appellation. The vines have an average age 25 years and grow on clay, limestone, silica and ancient sands. Château Larmande 2016 is a blend of 77% Merlot, 19% Cabernet Franc and 4% Cabernet Sauvignon. The juice is matured in oak barrels with 60% new barrels. The Château Larmande's 2016 vintage has a beautiful deep purple red colour with brilliant glints. On the nose, it offers a bouquet of great purity, between red and black fruits, particularly well defined. The fruity aromas are fresh and accompanied by greedy notes of pastry. On the palate, Château Larmande 2016 reveals a medium-bodied mouth, with very fine tannins and a slight acidity to ensure a harmonious balance. It is a round and creamy wine thanks to melted tannins and ripe and powerful fruits. The finish, full of red fruits, is long and persistent, with a warm touch of spices and a hint of cocoa aftertaste. It's difficult to resist the charm of this Château Larmande 2016!